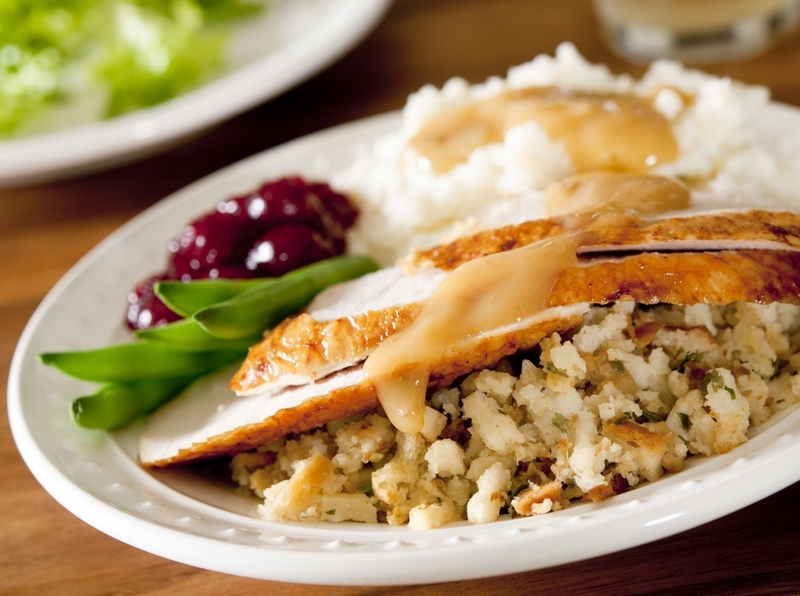 Are you tired of your traditional Thanksgiving foods? Perhaps you want to be thankful for a new taste palette this Thanksgiving instead of the repetitious “traditional” platitudes and foods that we take in every year. After all, how many times do you actually want to pay attention to the bland conversation of your friends and family? No offense to those at your Thanksgiving dinner by the way, for I am sure they all have at least a redeeming quality. This associate of Scranberry Coop has some wonderfully blasphemous ideas for you to consider that will keep you thoroughly distracted from everything that makes you wish you would slip into that food coma. Disclaimer: this opinion piece does not reflect the collective stance of the Scranberry Coop staff. Are you tired of Green Vegetables? Yes, the color green is very pleasing to the eye, but other than for the aesthetic, does anyone actually sit there in joy over the thought of green vegetables? You have every other day to be healthy and eat like a rabbit, so for once in your life, stop being so self conscious and focus on everything else. If you absolutely have to include your greens this Thanksgiving, be sure that it is drowning in BUTTER, SAUCE, CHEESE, and / or BACON. Consider the green vegetables your edible utensils at this point, with the topping being the main attraction, all while convincing your friends & family that you are being “healthy.” Of course, your secret is safe with us. Are you tired of Mashed Potatoes? Mashed potatoes suffer from the same problems as green vegetables, although people tend to be proactive about including the BUTTER, SAUCE, CHEESE, and /or BACON. However, you cannot deny that potatoes in of themselves are the text book definition of “bland starch,” and are propped up by what’s on top of them. My recommended substitution will be mashed SWEET POTATOES with MARSHMALLOWS. You may find some at the dinner table quite bitter over politics, but that will not matter as you experience an explosion of that gooey sweetness. You will definitely not have to feign that smile if you go this route, unless you have no soul to be swayed. Are you tired of Stuffing? This is in reference to the traditional bread based stuffings, and I can already feel someone looking at me sideways across the internet. However, just like the green vegetables & mashed potatoes, bread based stuffings are only as strong as what you mix it with, & I’m sure there will be enough carbs lying around. Why not stuff the turkey with a red meat, like GROUND BEEF or SAUSAGES? These alternatives will keep things very moist inside your turkey, and will allow you and all participants to embrace your inner carnivores. If you happen to be a vegetarian by the way, stop ruining the fun for the rest of us and eat those green vegetables we skipped. Are you tired of Turkey? You will probably want to burn me at the stake for even suggesting this, but unless absolutely cooked properly, I find that turkeys can be quite dry. Even if it is cooked correctly, a turkey that is cut open and left out for a short period of time will become dry quite quickly. If you want to skip the turkey this year, go ahead and get yourself a juicy HONEY GLAZED HAM. There is just something about a good ham that will have you coming back throughout the evening, even after it is cut open, which gives this a leg up over the turkey. Or if you want to be a champion, GET BOTH, devour the turkey rapidly, & then continue onto the ham! Are you tired of Gravy? Yes, sign me up for the Scranberry Coop Mailing List! St. Patrick’s Day Traditions – Yes or No?